Nollywoood Actress and Businesswoman, Chika Ike who arrived the US a few days ago to continue her 'Program for Leadership Development' (PLD) at Harvard Business School has been an inspiration to a lot of young women in Nigeria. The Harvard Business School student has made sure to carry her fans along on her journey to sucess as a smart business woman who goes for whatever she wants. 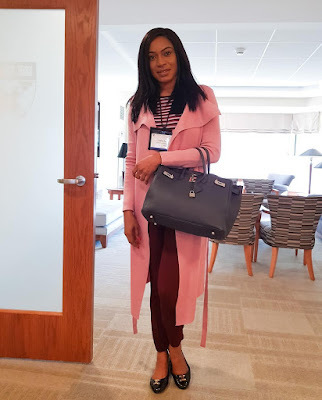 The Drama Diva shared this photo as she attended Harvard Business School today.